Mr. Riki Ellison is the Founder and Chairman of the Missile Defense Advocacy Alliance; a non-profit organization launched in 2002 with a singular purpose and mission to drive for the deployment, development and evolution of missile defense. Mr. Ellison has been involved with missile defense since 1980 and has advocated through 6 U.S. Presidents, being introduced to it by then Governor Ronald Reagan’s Senior Defense Advisor, Dr. William R. Van Cleave. Since its founding, the organization has grown to over 15,000 members across the world and has emerged as the top lay expert voice on missile defense in the world. Mr. Ellison has been in attendance of 241 missile defense tests, visited 520 U.S. and allied missile defense bases and platforms and has advocated for missile defense in all 50 states and 26 countries. Amongst the achievements of Mr. Ellison is the creation and building of two historic missile defense and veteran public memorials. One memorial is located at Vandenberg AFB in California honoring President Ronald Reagan and the other located at the Pacific Missile Range Facility in Kauai, Hawaii dedicated with the late Senator Daniel Inouye. Mr. Ellison was awarded the Honorable Order of Saint Barbara in December 2011 and the German Air Force Air Defense Missile Badge in October 2018. Mr. Ellison also established the annual “Missile Defender of the Year Award Ceremony.” These awards are given to the best United States missile defense soldier, sailor, airman and national guardsmen from each of the military services involved with missile defense. There have been 600 service members from the U.S. and 17 Allied nations recognized in 7 countries since 2011 as the Missile Defender of the Year in their respective branch and region. In 2006, Mr. Ellison founded the Youth Impact Program for disadvantaged and at-risk adolescent boys in our nation’s inner-cities. There have been 32 Youth Impact Programs in 14 of our nation’s major cities and major universities. The Youth Impact Program has been recognized twice by the United States Congress in Senate and House Congressional Resolutions for its overall achievements, innovation and impact. Since the beginning, YIP has impacted 2,840 at-risk youth, 622 NCAA athletes, 126 public school teachers, 126 U.S. Marines, and 57 U.S. Army Soldiers. Students who attended on average increased their math scores by 20%, vocabulary scores by 31%, and writing scores by 25%. Mr. Ellison was also involved with supporting wounded warriors of the United States military, and those with traumatic brain injury. In 2011, Mr. Ellison brought the National Football League and the United States Army together on TBI that resulted in a partnership announced in 2012, by the Commissioner of the NFL and the Chief of the United States Army. Earlier in his career, Mr. Ellison played professional football for 10 years as a starting middle linebacker with the San Francisco 49ers and Oakland Raiders, winning three Super Bowl championships. He was the first New Zealander to play in the NFL and the first New Zealander to win a Super Bowl. In 2017, Mr. Ellison was inducted into the Polynesian Football Hall of Fame. Mr. Ellison played college football at the University of Southern California, winning a National Championship and two Rose Bowls following a State High School Football Championship in Arizona. 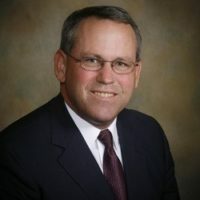 Mr. Ellison earned a Bachelor of Science degree in International Relations with a graduate emphasis on Defense and Strategic Studies from the University of Southern California in 1983. Mr. Ellison attended the National Security Seminar at the Army War College in 2009 and the National Security Seminar at the Air War College in 2011. Mr. Ellison also attended the University of Notre Dame where he attended a Business Management and Entrepreneurial program in 2013. Board of Directors Member Since December 2009 | Executive Chairman of Bytemobile, Inc.
As chairman and CEO of VeriFone (NYSE), Tyabji created the world’s first virtual company a decade before the advent of the Internet and two decades before the publication of Thomas L. Friedman’s The World Is Flat: A Brief History of the Twenty-First Century. 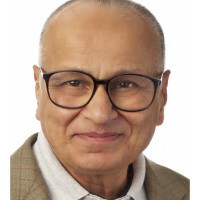 Tyabji is a recipient of the Academy of Management’s Distinguished Executive of the Year Award, the Silicon India Lifetime Achievement award, and the Point Of Sale (POS) Industry’s Lifetime Achievement award. After three heart attacks and open heart surgery, Tyabji was told by his cardiologist that he would never ski again. Less than three years later, mind triumphed over matter, as he returned to the slopes and renewed his passion for the sport. In 2005, he completed one of the world’s highest bungee jumps at Victoria Falls on the border of Zambia and Zimbabwe. The same year, he dove among 16-foot great white sharks in the waters off Cape Town, South Africa. Tyabji has also gone cliff jumping and taken trapeze lessons. In 2011, Tyabji and his wife Durriya climbed Mount Kilimanjaro. After seven days of hiking up to 13 hours a day, they celebrated their 42nd wedding anniversary at the peak’s summit – 19,345 feet above sea level. Living life to the fullest, both intellectually and physically, Tyabji has been relentless in his pursuit of excellence. He is committed to a system of values inculcated in him at an early age. He has instilled these values at the core of several successful companies under his leadership. Tyabji’s pioneering organizational practices are documented in two Harvard Business School cases. Tyabji is chairman of Best Buy (NYSE), a leading multi-channel global retailer and developer of technology products and services. He is also chairman of Jasper Wireless. Tyabji serves on the boards of Touch Networks (Australia) and the Missile Defense Advocacy Alliance. Tyabji holds a B.S. and a M.S. in Electrical Engineering and a M.B.A. He is a graduate of the Stanford Executive Program and was awarded an honorary doctorate by the State University of New York. In 2007, Tyabji published Husband, Wife & Company: An Honest Perspective on Success in Life and Work, a book on the complex interrelationships between family and career. Rich in human anecdotes, historical and literary metaphors, and real-world examples of corporate leadership, the book captures the spirit of Tyabji’s personal and professional life. This spirit combines an abiding courage to dream with discipline, decisiveness, unshakable ethics, and integrity. Dave Bracken was the longtime lawyer of MDAA and has transitioned to become a member of the Board of Directors. Bracken is a member of the Bar Register of Preeminent Lawyers and is the President of his law practice in Alexandria, Virginia, David S. Bracken, P.C. Bracken started his legal career as a criminal prosecutor and his practice has evolved into a business and commercial practice, focusing on the needs of small and medium sized companies and trade and non-profit groups. Since 2003, Bracken has also served as a Substitute Judge in 18th Judicial Circuit in the Commonwealth of Virginia, sitting as a Judge in the General District Courts and Juvenile & Domestic Relations Courts several times a month. Bracken is a graduate of Boston College and the Anton Scalia Law School of George Mason University. Bracken is the son of a retired U.S. Marine Corps Colonel and is an accomplished cook who worked under Jean-Louis Palladin at the Watergate Hotel in Washington, D.C. and Todd English at Olives in Charlestown, Massachusetts. Mr. Manganiello has 40-years of experience as a technology and operations leader in the United States Army and the Financial Services sector. Mr. Manganiello has an exceptional track record as a transformative leader in both the U.S. Army and in technology-driven businesses. From his time serving in combat in Desert Storm as an Airborne Ranger qualified Air Defense Artillery officer to his innovative leadership of key Army acquisition to building highly profitable businesses at Goldman Sachs, Rowan Technology and Virtu Financial, Mr. Manganiello possesses the unique perspective and experience to utilize technology along with his leadership skills to produce winning teams and results. 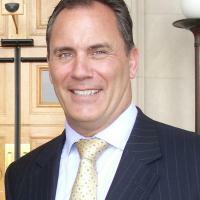 Mr. Manganiello currently serves as a Chief Administrative Officer at Virtu Financial. Virtu is the leading global market-making firm with offices around the globe, trading in 38 countries, and having a valuation of over $2.5 billion. Virtu currently trades over 12,000 different financial instruments in over 400 exchanges. Prior to its purchase of KCG, it performed in the domestic and internationally arena flawlessly with only 145 people. As the CAO, he is responsible for the design, implementation, and day-to-day operations of the firm’s non-trading activities, while remaining fully integrated with the technology development, innovation, and infrastructure. Mr. Manganiello has been instrumental in building the firm from its founding starting with only a handful of employees. The firm is able to ingest data from various diverse sources, analyze it within the firm’s systems, make trading decisions and do so profitably within compressed timeframes at extremely low costs. Virtu personnel built all software, operations and man-machine systems in house. Having taught mathematics at West Point and teaching as an adjunct professor for many years, Mr. Manganiello is excited to push the envelope of digital education technology in order to transform learning inside and outside of the classroom. He, along with a small team of Academy graduates, created Rowan Technology Solutions LLC to provide a premier educational experience utilizing leading edge technology in the higher education domain. Initially, Rowan worked with the Department of History at West Point to develop the West Point History of Warfare (http://www.westpointhistoryofwarfare.com/). It is an enhanced interactive textbook designed to better prepare students and to provide better teaching tools for the professor. This innovative educational technology transformed the way that military history is taught at Academy. Mr. Manganiello has led the firm’s efforts to continue to support the U.S. Military Academy and the U.S. Army. Rowan is also executing groundbreaking projects for the Department of Military Instruction and the Department of Behavioral Science & Leadership as well as for civilian universities and think tanks. April 2006 – October 2008: Head of Infrastructure (Operations & Technology), Investment Management Division, Lehman Brothers, Inc. In this role, he directed and oversaw all operations and technology projects involved in the build-out of the division’s front, middle and back office operations with all its supporting technology. This role entailed migrating legacy systems in addition to integrating systems and processes from firms and organizations that were subsequently merged into the Division. March 1998 – April 2006: Manager, Building Infrastructure Technology, Goldman Sachs, Inc.
Mr. Manganiello led as a senior manager of their Project Management Offices across the firm. The Building Technology organization was responsible for designing, building and maintaining the global technology portfolio of Goldman’s buildings, offices and data centers. He was also instrumental in Goldman’s training program for leadership and senior project portfolio management. Mr. Manganiello’s responsibilities at Goldman included the initial startup and execution of the “GoldmanSachs.com” business; encompassing all areas of operations, software development and support. Mr. Manganiello was selected to oversee the construction of these business processes after he successfully completed a major project which analyzed every user based application across the entire firm for Y2K deficiencies in both their display and logic. Mr. Manganiello retired from the Army as a Lieutenant Colonel, having spent 21 years as an active duty U.S. Army officer, serving with distinction in both the air defense artillery and acquisition communities. He served as lead Project Manager for various types of weapons systems, communications systems and command & control systems. He led programs such as the electric gun, tank munitions and small arms. He participated in many deployments, including Operation Desert Storm; Joint Endeavor and Joint Guard. He is a recipient of the Bronze star from his actions in Operation Desert Storm. Mr. Manganiello was born and raised in the Williamsburg neighborhood of Brooklyn, New York, where he attended one of NYC’s top magnet schools: Brooklyn Technical High School. He received an appointment to the United States Military Academy and graduated in 1977. He holds a Masters in robotics from MIT as well as an MBA in Finance (LIU), an MS in Accounting (LIU), and MA in Management and Human Resources (Webster College). He is a graduate of the Defense Systems Management College and a Congressional Board Certified Project Manager. During his tenure in the U.S. Army, Mr. Manganiello served as an Associate Professor in the Department of Mathematics at the US Military Academy. Upon completion of this three year assignment, Mr. Manganiello continued his teaching career as an Adjunct Professor in the MBA Department of Long Island University and DeSales University. 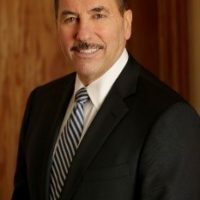 He is a member of the Board for numerous organizations: a Board Member on the Board of Advisors for the Department of Systems Engineering, USMA; a Board Member on multiple committees for the American University of Rome; a Board Member for the Missile Defense Advocacy Alliance and a Board member for the U. S. Army Heritage & Education Center. Mr. Manganiello is an active supporter and advisor to multiple centers at West Point: the Combating Terrorism Center, the Army Cyber Institute, and the Modern War Institute.